At Calibre Yachts it’s not just about the boat. It’s about a lifestyle. Call us. The adventure begins here. Click here to see a good array of quality Power Boats in a size and range that fits your needs. Check the line up then give us a call. 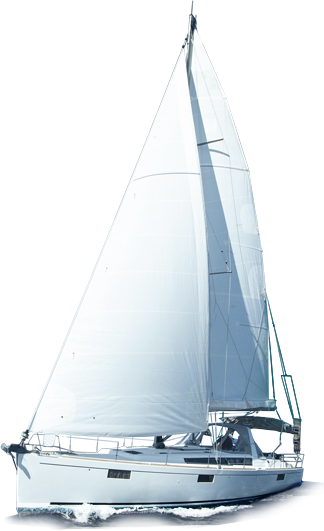 Your one click away from seeing a good selection sail boats for every taste and budget. Check it out then give us a call. Protect your asset from sun and rain. Vessels kept in boat houses often sell for more. Check out this selection then give us a call. It’s a perfect time to buy a boat in Canada. Get the most out of the strong U.S. dollar. No need for a middle man in your home port. Contact Calibre Yachts team directly. We’ll get you a lot more boat for your money and arrange all the details to get yours underway. Why spend your own money! Take advantage of record low interest rates to qualified buyers. The Calibre Team will arrange all the financing you need for the most fun at the lowest cost. Together we’ll define what a perfect day on the water means for you and we’ll find your perfect match. Whether it be one of the dazzling new yachts by Tiara or one chosen from our vast network of pre-owned yachts, we know how to make the process a lot of fun. And if you are ready to sell your boat, we have the resources to get you the best price and make the transition smooth and hassle-free. Whether you are buying or selling, the Calibre Team promises to enrich your boating experience. The adventure begins here! Rob took care of everything with efficiency and we have gained a new friend! And the extra bonus is that, Hans and Lydia, the new proud owners have not only become good friends as well, we get to go sailing with them. How cool is that! Thank you Rob!! The experience I had with Calibre Yachts was very good. I had a great time working with you, and believe you understood what I was saying. You also listened to my thoughts. Calibre Yachts represents their clients very well. I can say without any reservations that working with Richard Evans and his people at Calibre Yachts defines for me what marine brokers ought to be about. The service level was beyond anything I’ve ever experienced.